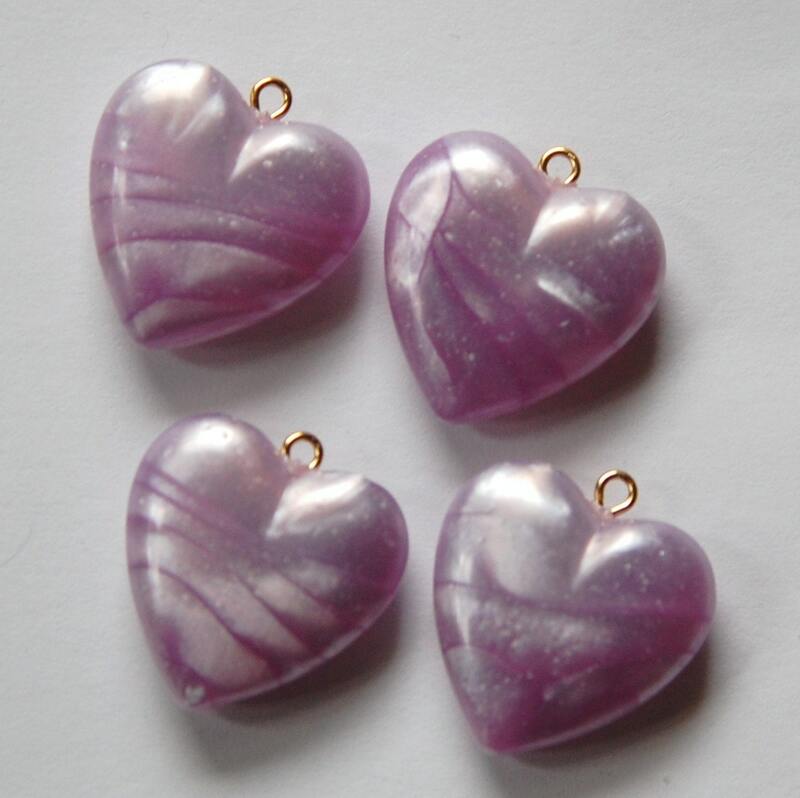 These are vintage acrylic heart charms or pendants. They have a gold loop at the top. 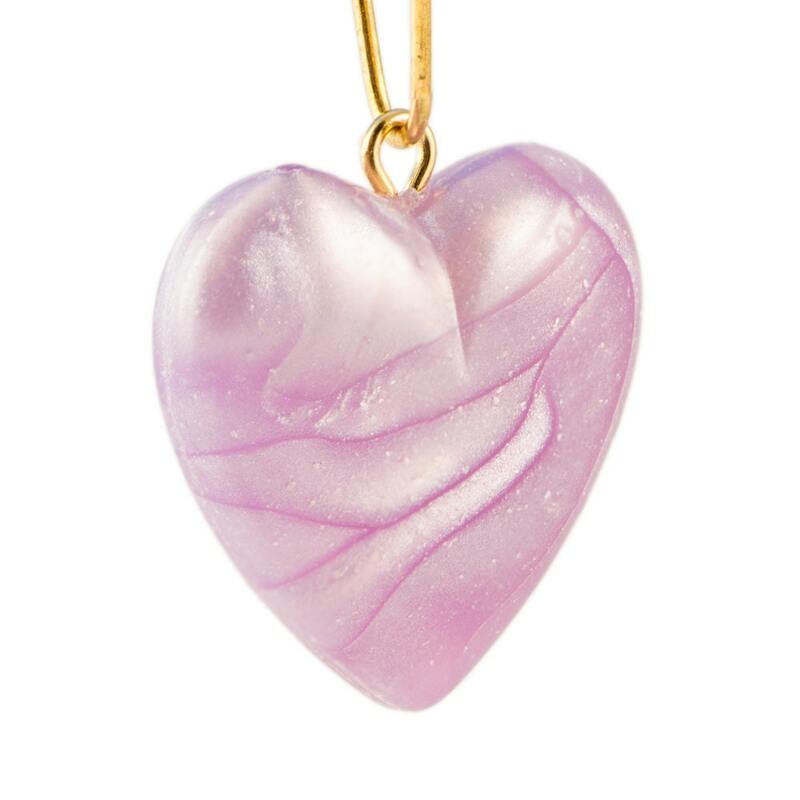 The color is a light purple with a pearly appearance. These measure 24mm high with the loop X 21mm wide. You will receive 4 hearts. Pretty, love it! Good size, lovely color. These are also even prettier in person. I LOVE them and can't wait to use them in my next children's bracelet!